The Club was born out of the commitment and enthusiasm of Chris Courtauld and Chris Ellis, who loaned the original vessels, Theodora and Duet. 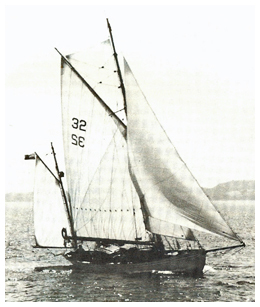 By 1966 there were OYC crews competing in Tall Ships Races; and by 1970 the OYC was building its own boats in Penryn. By the time of the OYC’s 25th anniversary in 1985, there was a fleet of eleven vessels to take part in the Club’s Silver Jubilee Round Britain Rally during which 35 ports were visited and 2,800 miles sailed. 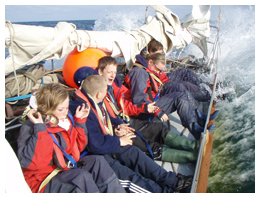 By 2000 the name change from Ocean Youth Club to Ocean Youth Trust had been completed, and the Trust returned to the original vision of a number of locally-based organisations. There is also a national charity, Ocean Youth Trust UK - charity number 1089252 - within which the four regional OYT charities are represented. Please see here for a pdf file of the brochure on OYC / OYT history produced for OYT South by Emma Ellis, daughter of one of OYC's founder, Chris Ellis, to mark our 50th anniversary in 2010.